Why Were So Many Concessions Granted During the Rafale Negotiations? India had a near-monopsony status when it came to purchasing the jets from Dassault, but still conceded ground on a number of issues. The bigger question recent exposes by The Wire and The Hindu raise with regard to the Prime Minister’s Office (PMO) conducting parallel negotiations in the Rafale deal is what did India gain by generously granting so many concessions to the French government? Sudhanshu Mohanty, former secretary, defence finance, who had suggested the ‘escrow account’ option after the French refused to offer a sovereign guarantee to India, argues that the Centre was in a great position to bargain because it was a near monopoly buyer of the Rafale fighter jets. Even more so because it came at a time when the company, Dassault Aviation, was struggling financially due to its falling order book. Mohanty suggests that the India’s near “monopsony status” should have made Dassault vulnerable. However, the opposite seems to have happened as the PMO conducted parallel parleys with the French government and ceded considerable ground on several counts. India’s demand for sovereign or bank guarantees from France for Dassault’s performance over a longer period with spares, maintenance etc was refused and we now learn that the head of the Indian negotiating team, Air Marshal S.B.P. Sinha, received a direct communication from a joint secretary in PMO indicating that the French had refused to give a sovereign guarantee. Even a bank guarantee was refused by the French. Similarly, when Mohanty formally suggested an ‘Escrow Account’ to be strictly operated by the French government in lieu of sovereign or bank guarantee, it was accepted initially and even cleared by the Cabinet Committee on Security in August 2016. However, even this clause was taken out at the eleventh hour under pressure from the PMO. The Defence Acquisition Council was asked to sit afresh to remove this and also the anti- corruption clause after the Cabinet had cleared it the previous month. This was indeed unprecedented. What were the pressures working on the PMO during this period can only be speculated. “All the post-facto amendments appear to be aimed at benefiting private companies on both sides [offset partners] under the garb of an intergovernmental agreement,” Mohanty told The Wire. Nevertheless, it is clear that after a point, the PMO virtually started dictating to the Indian negotiating team set up by the Defence Ministry under the Defence Procurement Procedure policy of 2013. This sacrosanct system of procedures was violated time and again as observed by some senior defence ministry officials, including the-then defence secretary G. Mohan Kumar. 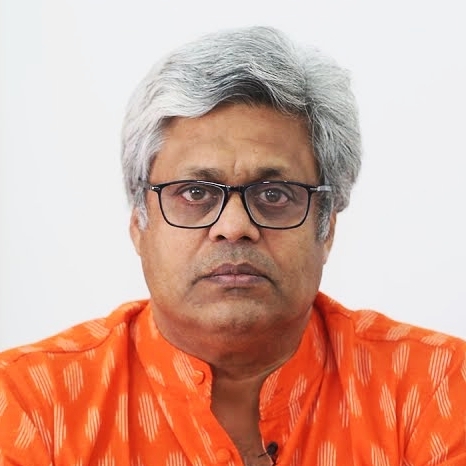 Last week, Kumar publicly said that his observation on the files – that the PMO was undermining the negotiating position of the defence ministry – was only in the context of diluting the sovereign guarantee clause and had nothing to do with pricing of the Rafale jets. Mohanty, however, argues that issues like sovereign guarantee or bank guarantee are inextricably linked to pricing because these decisions, including the one to remove the anti-corruption clause, create big changes in the risk profile of the contract. It is a settled commercial and market principle that a higher or lower risk is accompanied by corresponding change in pricing of the product. For instance, the removal of a sovereign guarantee must be accompanied by reduction in cost of the Rafale jet as the future risk for India increases. On the other hand, having a bank guarantee adds to the cost. The question therefore to ask is what has India really gained by removing all these critical provisions in the DPP document, in a deal where it had monopsony status? As near monopoly buyer it could have forced the French to accept all these conditions with little increase in cost. This is the real puzzle which must be unraveled. Another concession India made to the French against the advice of the law ministry is that it agreed to allow arbitration proceedings happen in Geneva under UNCITRAL rules. In May 2017, as The Wire first reported, finance minister Arun Jaitley sent an urgent note to the PMO arguing that India was losing too many arbitration cases against global companies because of arbitration under the international framework. The finance ministry suggested that India needed to be more proactive and devise a mechanism to ensure that Indian judges are also part of the arbitration bench. In the context of the Rafale deal too, the law ministry’s inputs were also that arbitration proceedings should take place in India and not Switzerland. These concerns are not merely theoretical: it was only in late 2017 that Dassault and Taiwan settled a 20-year-old dispute over an arms sale through arbitration, with the French company being fined nearly 135 million euros. It would seem the arbitration clause in the Rafale deal violates the spirit of the note sent by the finance ministry to the PMO and the law ministry’s beliefs. Why would India concede to arbitration in Geneva that too in the absence of other safeguards such as sovereign guarantee, bank guarantee etc. A mere letter of comfort assuring future performance by Dassault is legally a very weak substitute, most experts have opined. Therefore the fundamental question remains as to why India agreed to so many concessions, in violation of DPP 2013, when it was clearly in a strong position as a near monopsony vis a vis a company starved of orders globally.